You can format Pen Drive in Ubuntu using the Disk Utility or through the Terminal. In Windows, the process is quite simpler - with a right click on the drive and choosing formatting option does the job. In Ubuntu, the process is very much same with the Disks Utility that comes pre-installed. The terminal way is easy too, involving a couple of commands, though you will need to be cautious not to format any other drive other than the pen drive in the process of formatting. I'm sure you don't want to loose something important (or a drive). Search from Disks Utility from Dash and open it. Once the Disks Application opens, in the left panel you can find all the disks (including Pen Drive) attached to your Ubuntu system. Click on the drive which you want to format. In the right most corner, click on the menu and click on format. You will find the two options for formatting - first one just erases the drive and is quicker. 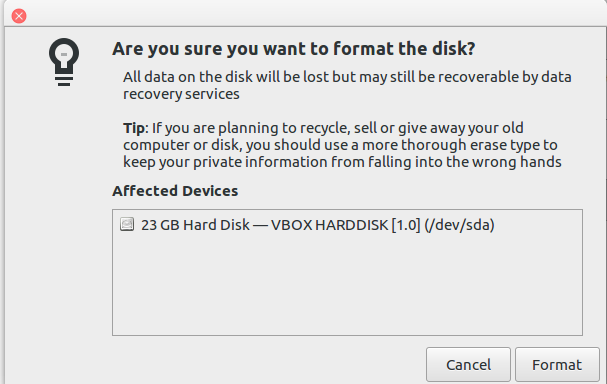 The second options erases the drive and rewrite it random data so that the deleted data is hard to recover. Click on format, and a warning message will appear confirming about the format. Click on format to format Pen Drive in Ubuntu. 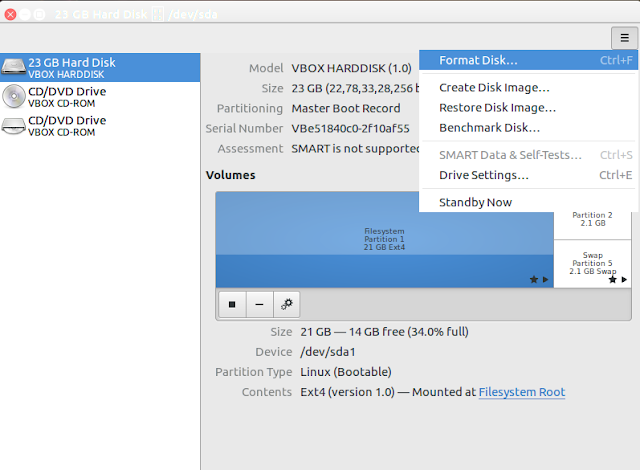 The same steps can be followed to format Pen Drive in Ubuntu, or a hard drive attached. Logical Partitioning can also be formatted using the same method. You can format your pen drive or a hard drive using terminal too, instead of using Disk Utility. Open Terminal from the task bar, or press Ctrl + Alt + T.
Type lsblk to list all the drives attached to your system. /dev/sdb1 is the filesystem name under NAME section. Now run the following command to format your USB disk. That's it. You have successfully partitioned the USB drive. 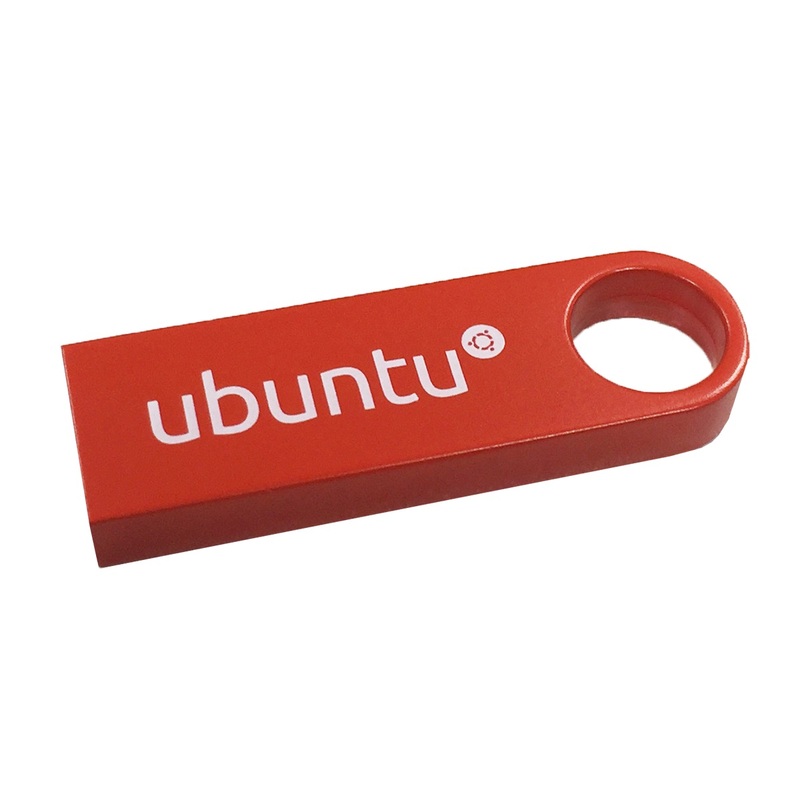 Let us know in the comments, if you are facing any problem in formatting pen drive in Ubuntu. You can read our latest post : How to install Linux Mint 18 KDE and these Keyboard Shortcuts for Ubuntu 16.10 will assist you a lot while using Ubuntu. If you have not installed / used Ubuntu, this is for you : Installing Ubuntu 16.10 in Virtual-Box.